8000 Scoville Heat Units (SHU). 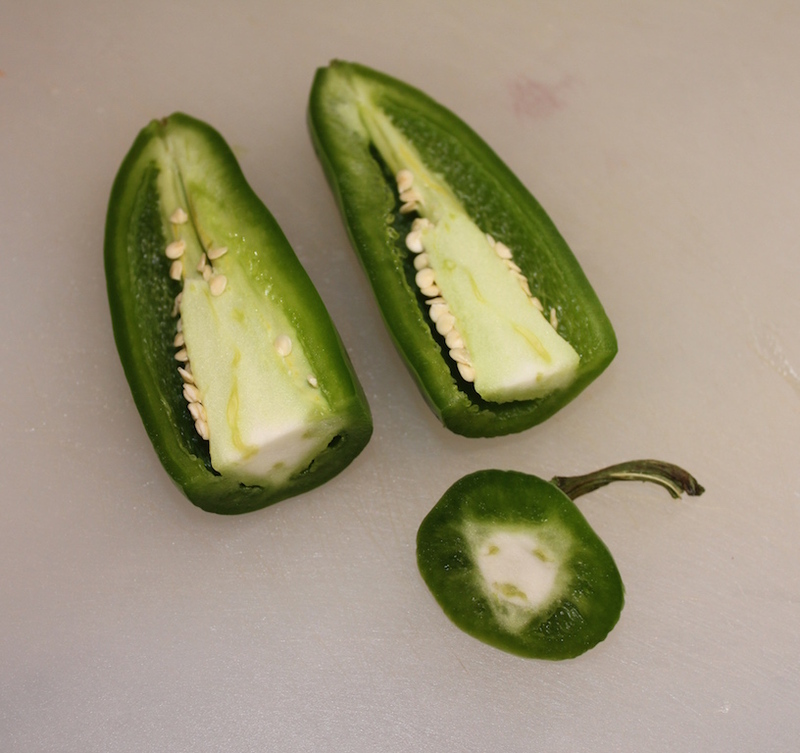 The peppers’ pungency is given in a range because one pepper’s heat may vary from another of the same species. This is due to temperature, water and soil conditions. 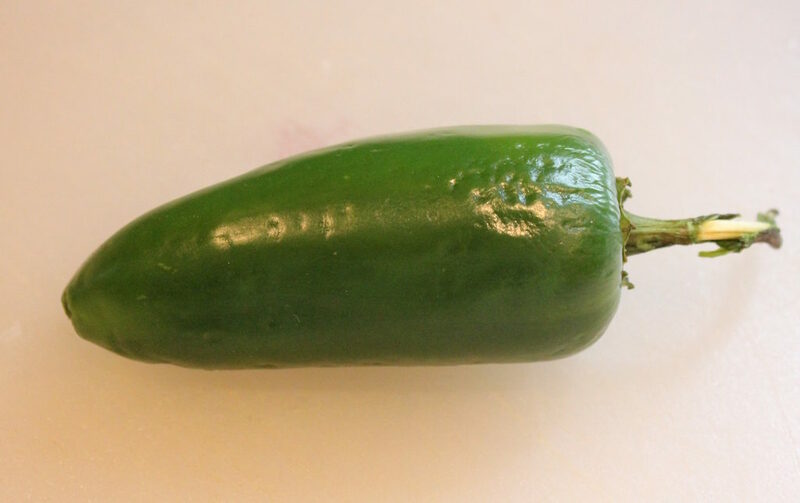 Compare this rating to the habanero chili at 100,000 to 350,000 SHU and you might think the jalapeño is mild, but I wouldn’t just bite into one, you are bound to feel some pain! The high concentration of capsaisin, or heat, lies in the whitish veins, not the seeds. If you want the extra heat, leave it on, if you want to lower the heat, cut it away. Removing the vein does not eliminate the heat, it’s also in the essential oils within the pepper. Be careful when handling chilies because those essential oils transfer to your fingers and rubbing your eyes, even after washing your hands, can be a very unpleasant experience. 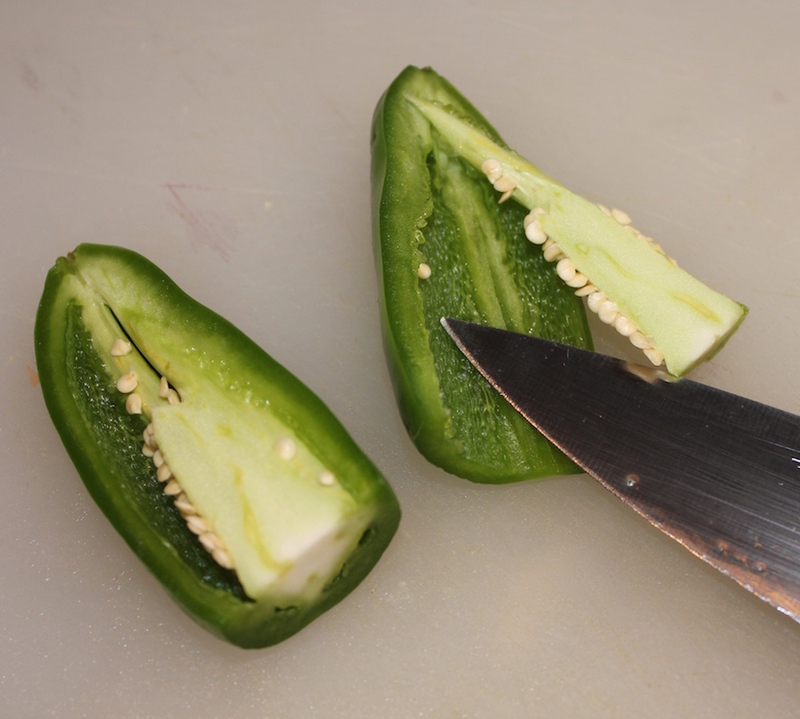 Wear gloves if you’re particularly sensitive or cutting many peppers at once. This is the vein that holds the highest concentration of capsaisin. 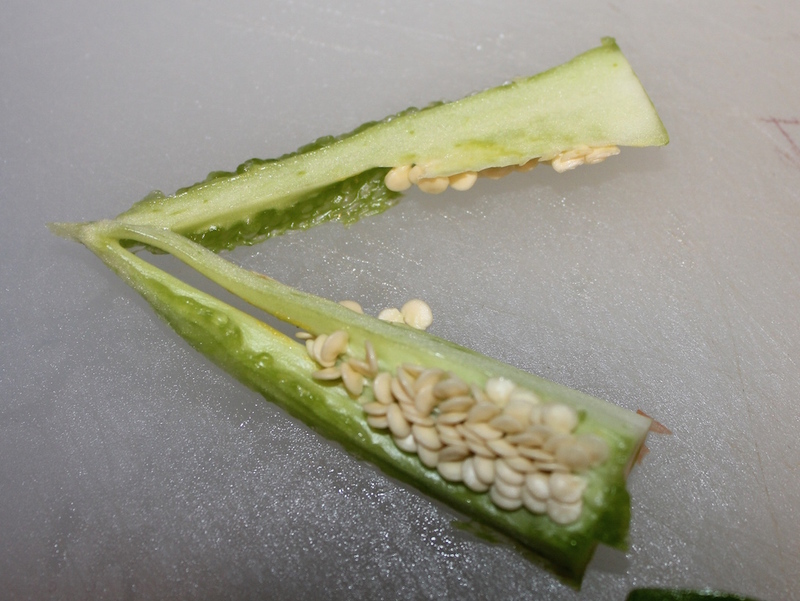 Slice off the stem end of the jalapeño and cut in half lengthwise. Slide the edge along the vein from top to bottom and then under the vein from side to side. 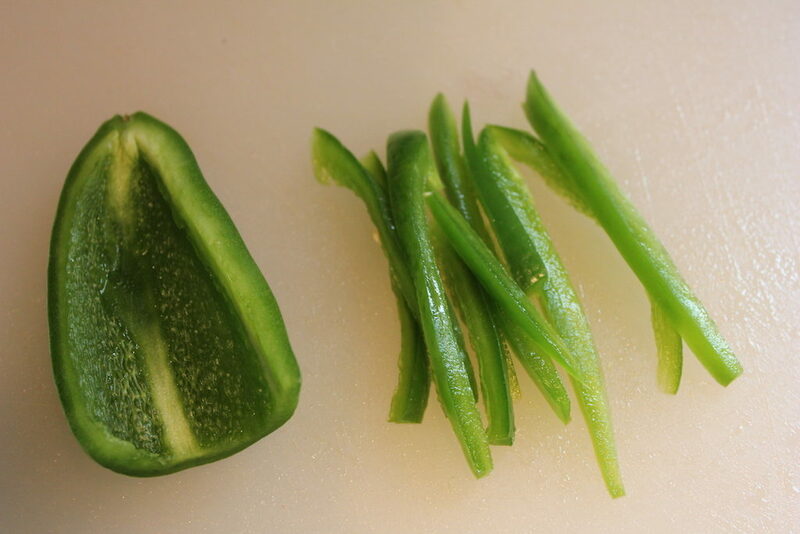 Slice the jalapeño lengthwise into very thin strips. 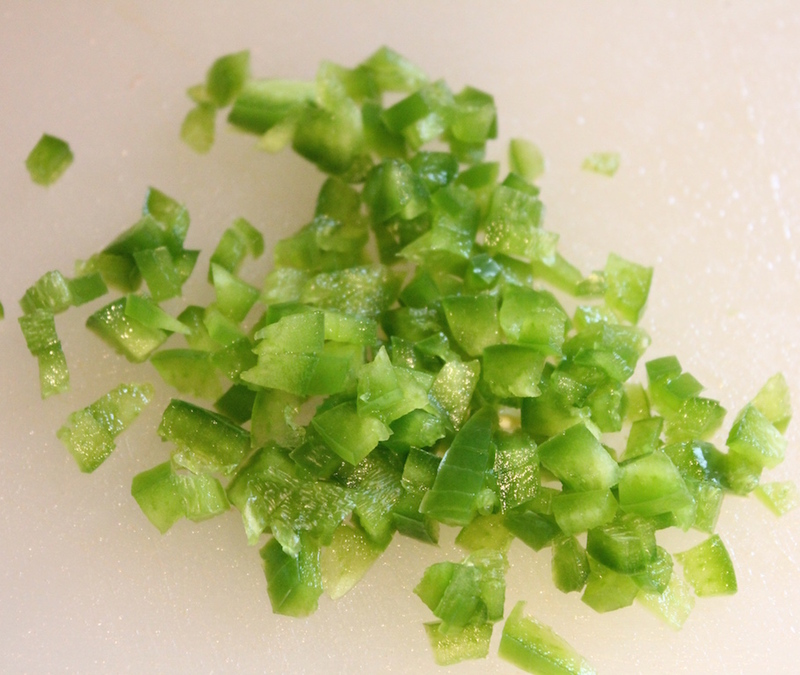 Turn the jalapeño 90 degrees and cut in a mince.